I've been tasting all the Norwegian beer I could find for years, and tonight I had an experience I didn't think I could have in Norway any more. I've just spent an entire evening drinking Norwegian specialty beers, none of which I'd ever tasted before, and I had to leave many more beers behind when leaving. Clearly something good has happened to the Norwegian beer market. This was at Cardinal in Stavanger, a pub that specializes in beer. 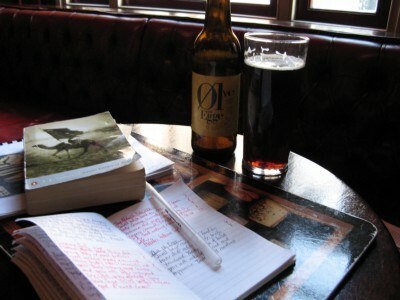 There are several pubs in Norway that claim to do this, like Lorry and Beer Palace in Oslo, Kontoret, and Henriks in Bergen, and Blårock in Tromsø. None of these ever really impressed me as a pub that tries its best to provide new and interesting beers in the admittedly difficult circumstances in Norway. They just stock a lot of beers, that's all. As if this were not enough, they include obscure (in Norway) foreign beers like Lammsbräu Urstoff. Yes, it's a pale lager, but it's good! They even import Black Sheep beers from the UK themselves, and anyone who's tried their Riggwelter or Black Sheep Ale knows that this really is something special. On top of this comes stuff like Spitfire on tap, all of the good Belgians available in Norway, Mönchshof Bockbier (only served by one other pub in Norway), etc etc. The biggest differentiator is perhaps that they make an effort to include new beers that have come onto the market, they try hard to be complete, and they offer events that actually have something to do with beer. Really making an effort to stock the new and interesting beers is one thing, but they don't stop there. As far as I can tell from their web site they have beer evenings most Wednesdays. Two weeks ago the head brewer of Shepherd Neame (Spitfire) was there to talk about their beer, one week ago they served Nøgne Ø Porter on cask, and this week there was the Imperial Stout. Why people have to go to Stavanger (or Kristiansand) to get this kind of thing I really can't understand. 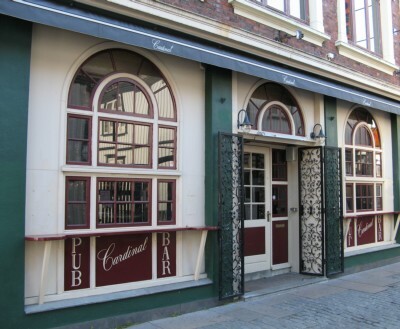 In short, if you would like to drink in a pub that really cares about the beer it serves, and you want to do this in Norway, then, well, you have only one choice, and that is Cardinal in Stavanger. (Okay, two if we count Uptown in Kristiansand.) I've never been to Uptown, but I can definitely recommend Cardinal. It looks good, it's in a very nice port town, and while the prices will make you broke I'm not complaining. Nice review. Like the Cardinal, and it's a good place to start for teambuildings and such. . .